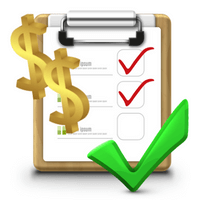 Project Payday Research promises it is an easy way to make money by giving your opinion. But is Project Payday Research legit or is it a scam site to stay away from? In this Project Payday Research review, I will give you all the details you need to know – and trust me, there are some things you need to know before joining. After this review, you will know exactly what the site has to offer, and if it is worth joining for you. Before getting to all the details, I just want to clarify that Project Payday Research does not offer the same as Project Payday – it is a bit confusing, so let me just explain a little more. This is a little confusing, and something that confused me a lot when I first wanted to join Project Payday Research. If you google for reviews, you will find a mixture of reviews for the website called Project Payday Research and a site just called Project Payday. Project Payday Research is the site I have tested and will be reviewing below. As there are many similarities between the two, it is however important to know the background. The site called Project Payday seems to no longer exist, and I have found a lot of Project Payday complaints. As the site does not longer exits, I have not been able to verify the different claims, but as it is closed down, it is probably because it was a site that was not worth joining. The complaints are mainly that the company had exaggerated claims and was full of false promises about the income potential. Project Payday Research does however make it clear that you will not become rich, and seems legit in its claims about the income potential of paid surveys. Where it becomes even more confusing is that the website address of Project Payday leads to Project Payday Research´s website. That is a bit strange and confusing, and therefore just wanted to clarify what I have been able to find out. Since Project Payday does no longer exist, I will in this review just focus on what Project Payday Research has to offer, as this is the site you can still join. What is Project Payday Research and what does the site offer? Project Payday Research was founded in 2006. On the site it says it is powered by Clear Voice research. I recently did a review of Clear Voice Surveys. If you did not read the review, I can tell you in short that the site is legit, but I was not impressed by the opportunities there. But just because it is powered by the same platform, it does not mean they are equally poor sites. So let’s go into what Project Payday Research has to offer. Project Payday Research is first of all a survey site, where you can get paid to tell your opinion. In my experience, it does however not give a lot of opportunities compared to many other survey sites. It is important to mention that this also depends a lot on where in the world you live, so it might be different for you. On Project Payday Research you are encouraged to fill out your profile information when you first join, as this can increase your chance of getting matched with surveys. This is very normal, and most survey sites has profiles like this that are good to fill out to get more chances. On Project Payday Research there are however a huge amount of information you have to fill out, and it takes quite a while. Seems like an unnecessary amount of information, and like a waste of time compared to the amount of surveys you have the chance to take. The big amount of profile info you have to fill out. Also, you are asked to give your phone number when you first join. I do not mind giving my phone number to a survey site, if I am 100% sure it is legit, as some sites need this to verify your identity before paying out. But this is one of the few sites where I have experienced, I had to give a phone number to be able to register – I did not feel comfortable with that, as I was still not sure about the legitimacy of the site. So in this case, I decided to just give random numbers and not my phone number, as I wanted to test the site before giving my real number. And I am kind of glad I did not give my phone number to them to be honest. I only want to give that to websites that are using it as verification when paying out, and only if I can join and earn before giving my number. Polls are very short multiple choice questions. They are very easy to answer and only takes a few seconds to do. I do however not see the point in participating in these. The questions seem quite pointless and the polls are not even fun to participate in, and you do not get any rewards to take them, so they are in my opinion just a waste of time. You can also create your own polls or answer polls created by other members. It can of course be interesting to get some answers, if you have a short question you would like some feedback on. But again, you just need to know that you will not get paid to create or answer these community polls – it is purely for pleasure, which can of course also be fine. Project Payday Research offer you to connect your Facebook account. There is not as such anything in it for you other than it makes it easier to login, as you can then just login through your Facebook account. And when you are on Facebook, you will also get notifications when a new survey is available. You can connect your Project Payday Research account with Facebook. Project Payday Research has a referral program, where you can get an extra reward for inviting a friend to join. It is however one of the worst refer-a-friend programs I have seen on survey sites. You can maximum get paid for inviting 10 people. You get $0.5 per person, and when 5 people have accepted, you will gain an entry into the sweepstakes. Not really impressive rewards. In general, I can also reveal already now that Project Payday Research is not a site I would recommend anyone to join so a referral program is not tha interesting even if the rewards had been higher. There are simply just so many better sites to join. On any survey site, it is important to know what kind of rewards it offers, and how you will get paid, before you join. If a site does not offer a payout method you like, there is no reason to spend any time on it. The payout methods you can use on Project Payday Research depends on where you live. In general, you will be able to request a payout once you have earned $10. In the US, you can get paid through Payoneer prepaid MasterCard, Amazon gift cards or gift cards to Dining Dough. In Canada and the UK, you can get paid through Payoneer prepaid MasterCard or Amazon gift cards. In all other countries, you can only get paid through Payoneer prepaid MasterCard. These options are not really impressive. Personally, I prefer sites that pay through PayPal, but other payout options and gift cards can also be very nice. But in this case, the choices you have are very limited compared to what other survey sites offer. Especially because the Payoneer prepaid MasterCard has a yearly fee that in most cases will cost you more than what you can make on Project Payday Research. So does Project Payday Research really work, and how much money can it potentially make you? I have seen no indication that Project Payday Research is a scam, so it does work in the sense that you will be able to make a bit extra money. But you should not expect a lot. The opportunities on the site are very limited compared to other survey sites, and it can take a while to get to the payout threshold of $10. It can be very convenient to be able to take paid surveys on the phone, as it makes it easy to do when you have a little extra time during the day. Project Payday Research is however not a site that is easy to use on your mobile. The site is not optimized for mobile devices, which means everything is very small, and you have to zoom in and out a lot to take surveys. It can be done, but it is not very convenient. I like when a site is open to everyone, and Project Payday Research is, so you can join no matter where in the world you live. It does however not make much sense that a site is open to everyone, if it does not offer any real opportunities or any good reward options. If you live in the US, Canada or the UK, you can at least get some decent gift cards, but you do not have many to choose from. All other places in the world, the reward option does not make sense, as it can end up costing you more money than you are able to make on Project Payday Research. So even though you can join no matter where you are from, you should seriously consider other options – no matter where you are from. Final thoughts – You can find better ways to spend your time! So Project Payday Research is a legit site, but that does not mean it is worth joining. Let’s sum up the pros and cons to get a better overview. For me, the cons of Project Payday Research are way bigger than the pros. The opportunities are simply just not good enough. Paid surveys can be a great way to make some extra money, but you should go for the top paying survey sites instead – Project Payday Research will in most cases be a waste of time and effort in my opinion. If you have any comments, questions, or have any experiences with Project Payday Research yourself you would like to share, I would love to hear from you in a comment below. Project Payday Research is a legit site, but in my opinion not worth joining. There are not many opportunities, the reward options are not very good, and it is not very user-friendly. Simply said – your time is a lot better spend on other sites.